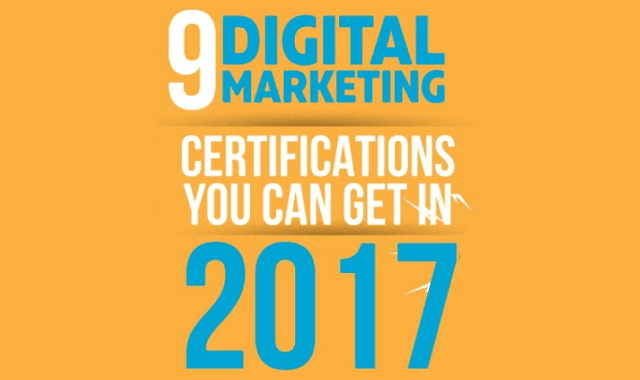 9 Digital Marketing Certifications You Can Get in 2017 #Infographic ~ Visualistan '+g+"
Digital Marketing has evolved into a powerful marketing technique of this new age. The most impressive part about digital marketing is that it does not require much of an investment and the results are amazing. After realizing this immense potential, companies nowadays are hiring more and more experts. If you are a person who is so much interested in digital marketing the first thing you should do is to get certified by Google, Bing or HubSpot. Most companies prefer digital marketing professionals with certifications as an additional qualification. There are plenty of free certification courses that are now available on the web. This infographic lists out popular digital marketing certifications that you can acquire in 2017. Let’s see which are they.